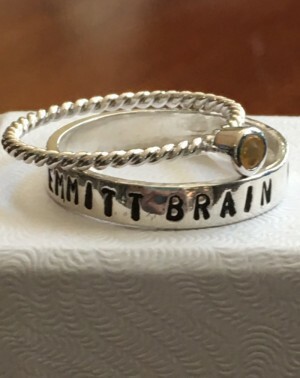 Classic birthstone name ring- perfect gift to honor the mom of one. 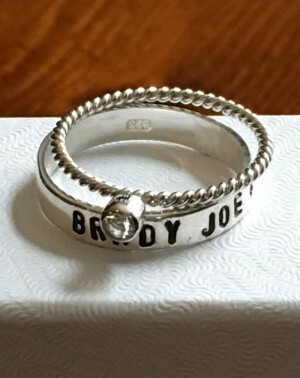 Mother’s ring personalized with the child’s name will become a family keepsake to treasure forever! Sterling silver ring set available in sizes: 5, 6, 7, 8, 9. 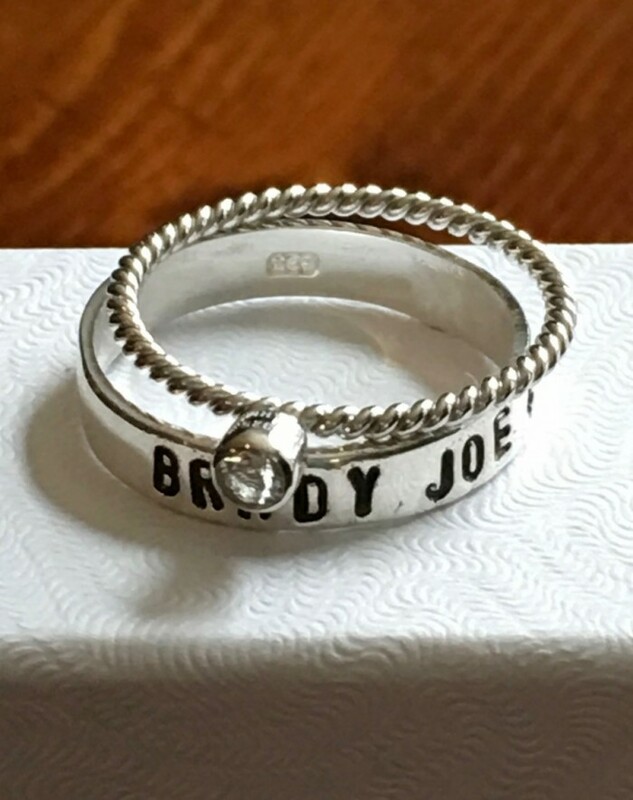 Personalized ring measures 4mm wide- hand stamped with up to 12 characters. Birthstone ring, measuring 2mm, is rhodium plated and available in every month. Categories: Birthstone Rings, Collections, Expecting & Push Present Gifts, Gifts, Hand Stamped Rings, Mom and Grandma Gifts, Mothers Day Gift Guide, Rings, Stackable Rings. Tags: Mother of one, mothers birthstone name ring.